Sandy Kim, Untitled, 2015. 65 x 43 inches. Digital archival photograph. Edition of 2. Immersed in San Francisco’s vibrant music scene, Sandy Kim gained international exposure for her intimate portraits of the band Girls. Her work has since been featured in publications such as Artforum, Purple Fashion, FADER, New Yorker, New York Times, Vogue Italia, Pitchfork, Nylon, Guardian, Elle, Wired, and Rolling Stone, among many others. 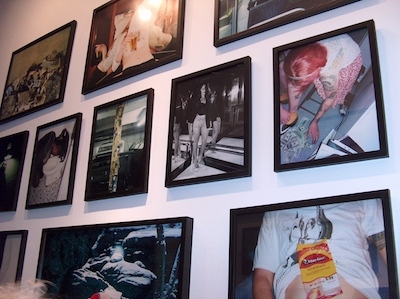 She has exhibited at Salon 94, The Hole, Ever Gold [Projects], Mudd Guts, and New Image Art. Kim’s work has also been the subject of multiple books and zines. In 2014 she lectured at the Aperture Foundation, New York. Also available at 30 x 45 inches (Edition of 2).